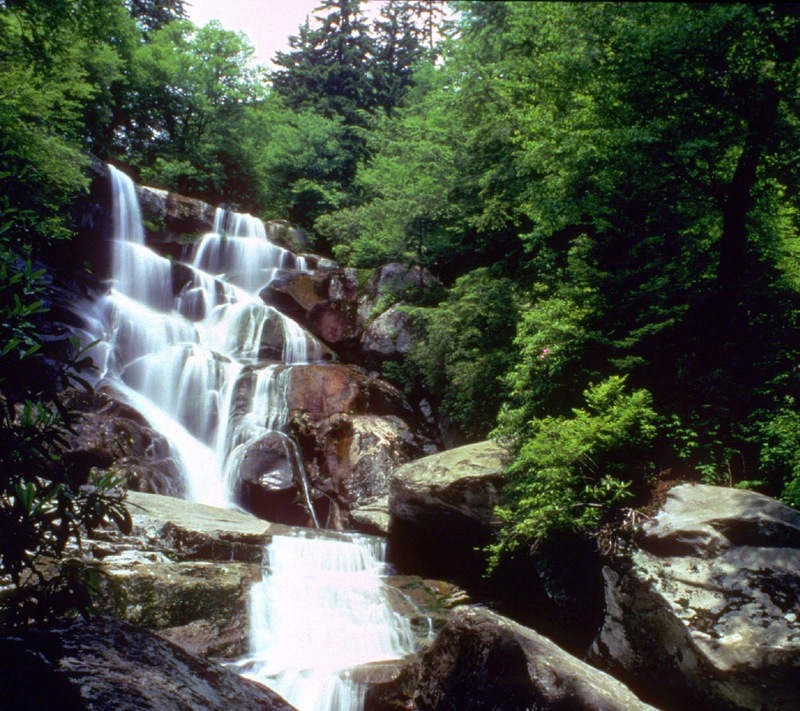 Lynn Camp Prong Falls offers some of the most impressive collection of falls in the Park. The creekside trail leading up to the Falls, the Middle Prong Trail, was once the bed of a railroad built to haul lumber. It’s not one falls but many and it must be seen not from the bench opposite the falls farthest upstream but from the bottom of the falls farthest downstream. All three falls flow into a deep pool in the ledge that’s foaming with white water, like a huge natural jacuzzi. 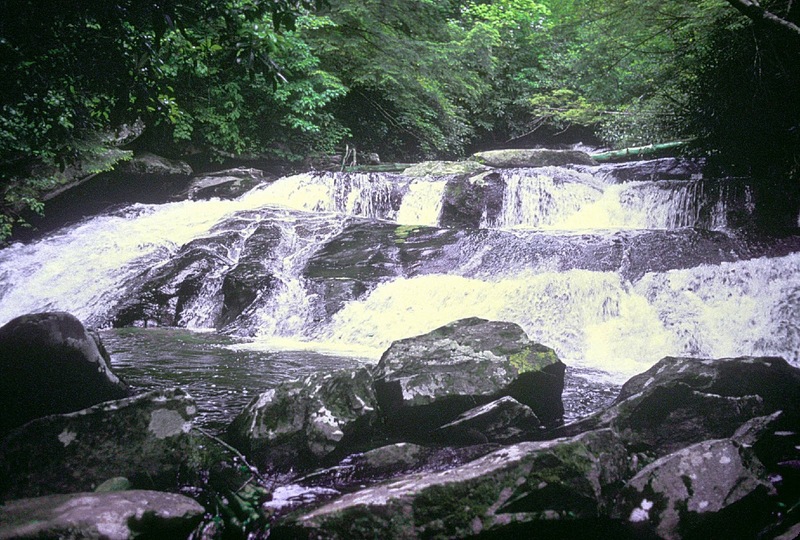 Laurel Falls can be reached by walking a paved 2.5 mile trail just 3 miles west of the Sugarlands Visitor Center. On your way to the falls, you’ll see a picture window view of the Smoky Mountains. You can actually view the falls, both upper and lower simultaneously, from across the creek. It is a tremendous sight!